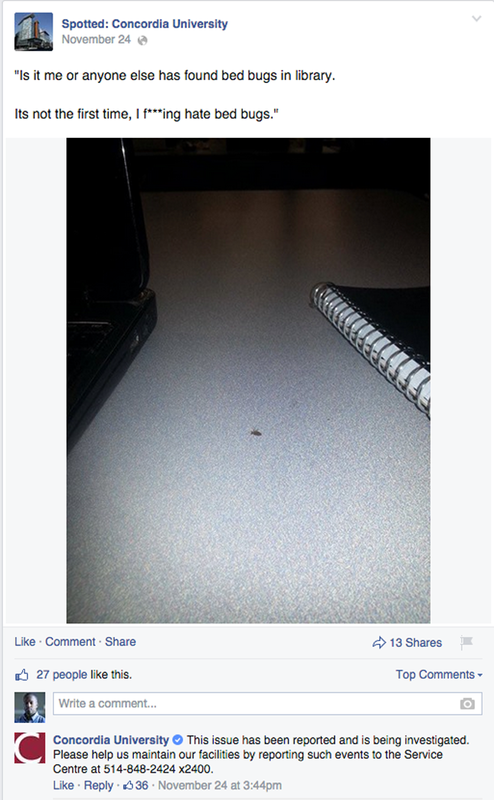 Concordia University has denied that the Webster Library downtown is infested with bedbugs, after a photo of an insect was posted to the “Spotted: Concordia University” Facebook page Monday, provoking an outcry on social media. 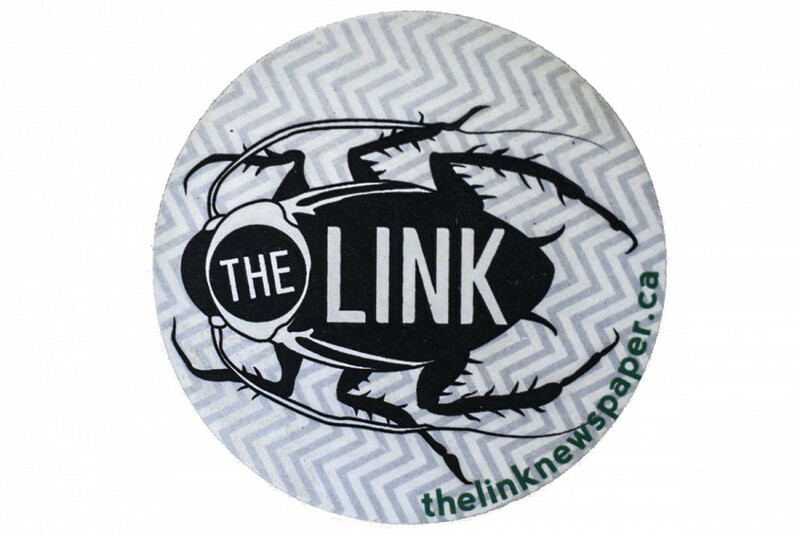 The post was met with multiple testimonials of bedbug infestations from library books. The website Sooo MTL, a parody of the popular MTL Blog, picked up on the story, adding to the rumour mill. “Concordia has confirmed through their Reddit account that bed bugs are everywhere, in a big way,” the satirical post said, referencing a comment made by the Concordia Student Union’s Housing and Off-Campus Job Centre (HOJO) informing Concordia students they could help them if their apartment was infested. CSU VP Student Life Charles Bourassa told The Link he doubted the authenticity of the Reddit testimonials after he saw that the three main posters had only had an account for one day, and had made no other posts. “Two of them had similar usernames, in terms of cats, so it looks like it was orchestrated on Reddit to create hype,” he said in reference to Reddit users “thecatsmeow42069” and “catchow,” both of whom had made only one post. Sooo MTL highlighted their earlier coverage of the story. “It was crazy to see how fast it spread, it was like a wildfire,” Bourassa said of the reaction on social media, adding that he had received numerous messages from concerned students throughout the day. HOJO coordinator Leanne Ashworth said she was concerned for students who were afraid to go into the library during finals period. “Everybody needs to be in the library studying, so it’s a really bad time to be paranoid. […] It’s kind of hard to know if it’s a hoax,” she said of the possibility of false allegations. “It’s highly possible that it’s something students here are dealing with, whether it’s at the library or at home,” she said. Reddit user AlkalineMTL was unimpressed from the get-go.